Crystal Exchange America, an industry leader in brokering retired Swarovski, continues blogging success. Kristall Buzz, the preeminent place for Swarovski crystal aficionados, is excited to celebrate its two-year anniversary. My favorite part of writing for the Kristall Buzz is the fun & creative articles about Swarovski crystal, not just delivering the latest Swarovski news. I am inspired by cute photos of Swarovski crystal figurines, and developing articles around them. Kristall Buzz Swarovski blog was unleashed to the world in October, 2010. 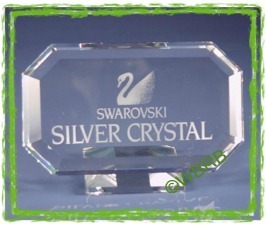 Now, in October, 2012, Crystal Exchange America is delighted to be celebrating two successfull years blogging Swarovski news and information on the Kristall Buzz. 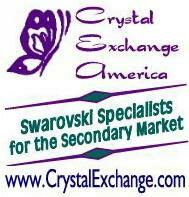 Crystal Exchange America’s owner Angie McIntosh is the sole author of the Swarovski articles on the blog. The concept at launch was that it would be a blog about Swarovski crystal for novice collectors as well as dedicated Swarovski crystal fanatics. The blog’s author believed that blogging would be an outstanding avenue for communicating Swarovski news and interesting commentaries on Swarovski crystal figurines with the devoted Swarovski collectors world-wide. In the past two years, there have been nearly 400 articles posted to the Kristall Buzz Swarovski blog. The vast majority of articles are custom-written posts, with the balance of articles being news about pending releases by Swarovski, Swarovski retirements, and findings of rare Swarovski figurines. For these reasons, the Kristall Buzz continues to be one of the most popular Swarovski blogs for its appeal in fascinating, accurate, and exceptional content. 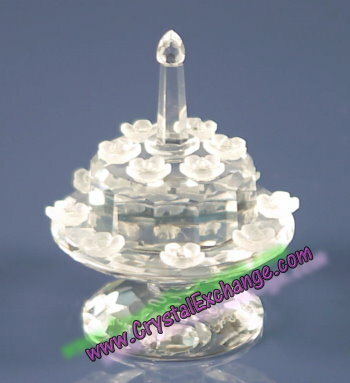 Kristall Buzz followers can find a wide range of posts dealing with discontinued and rare Swarovski, recent Swarovski crystal releases, and other interesting articles. “My favorite part of writing for the Kristall Buzz is the fun and creative articles about Swarovski crystal, not necessarily delivering information about latest Swarovski product releases. I am inspired by cute photos of Swarovski crystal figurines, and developing articles around them.” says the blog’s author Angie McIntosh. The Kristall Buzz is presently featuring a whole series of articles on SCS crystal figurines, 1987 through present, along with the boxes, certificates, and accessories. These articles are accompanied with pictures so that less experienced collectors may gather useful information from them. To celebrate the Kristall Buzz’s second anniversary, a brief “anniversary video” will post to YouTube in the near future. Additionally, @CrystalExchange will tweet coupon codes for discounts on purchases and free shipping at Crystal Exchange America’s online store.